And in other breaking news, scientists have recently discovered that water is wet. 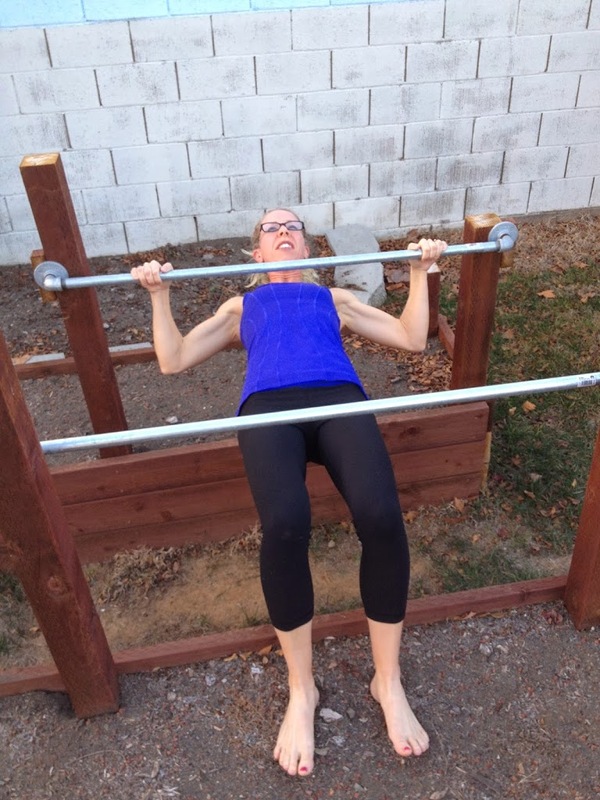 Day One – Inverted Rows on my outdoor parallel bars. These were tough, but I managed a few of them. Actually, I managed quite a few with my feet on the ground, but only a handful with my feet elevated like this. Day two. Yes, you can see on my face just how much I am enjoying these! I had to REST on day three because my back muscles were screaming at me, but I did some jumping pull-ups on day four. These were fun! I hopped up on the assistance band for day five. The band didn’t offer me enough assistance to do more than about six of these bad boys. And that brings us to today. 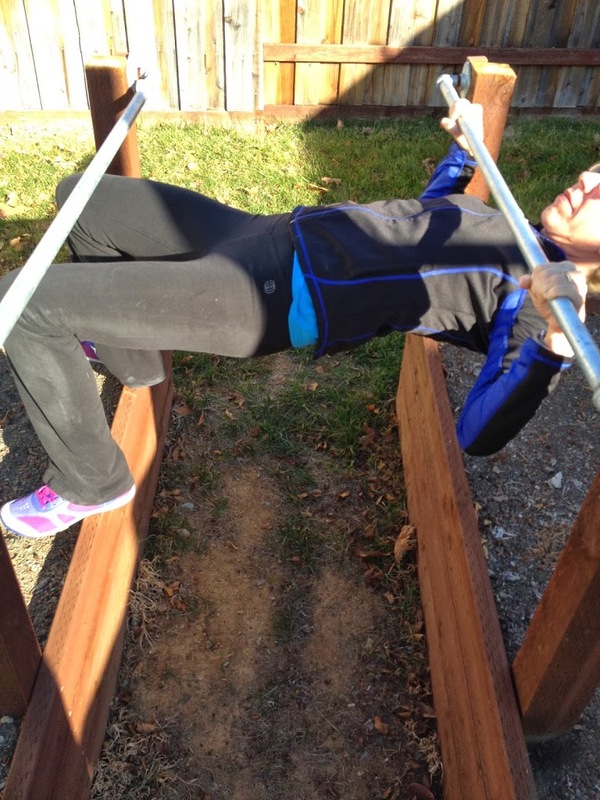 More inverted rows, more grimacing. Note to self: don’t do handstands outside. 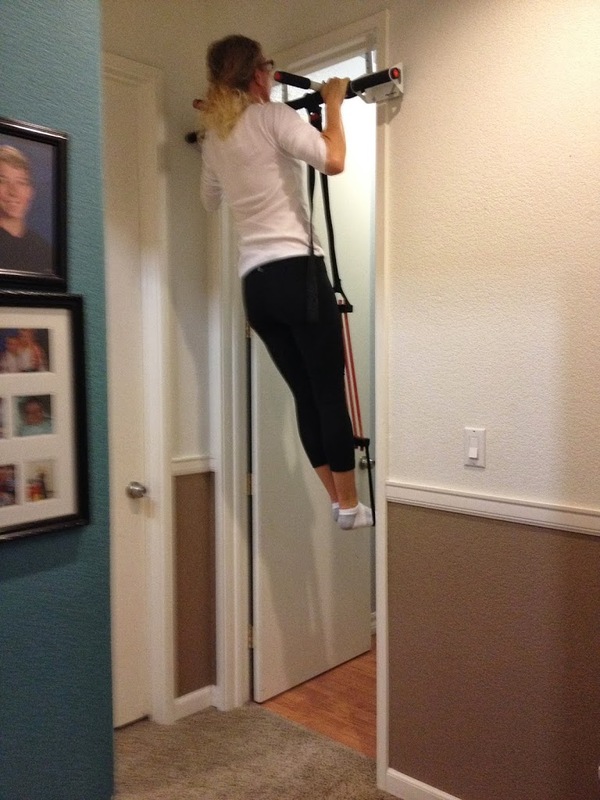 Can you do a pull-up?? Have you even tried one as an adult?? 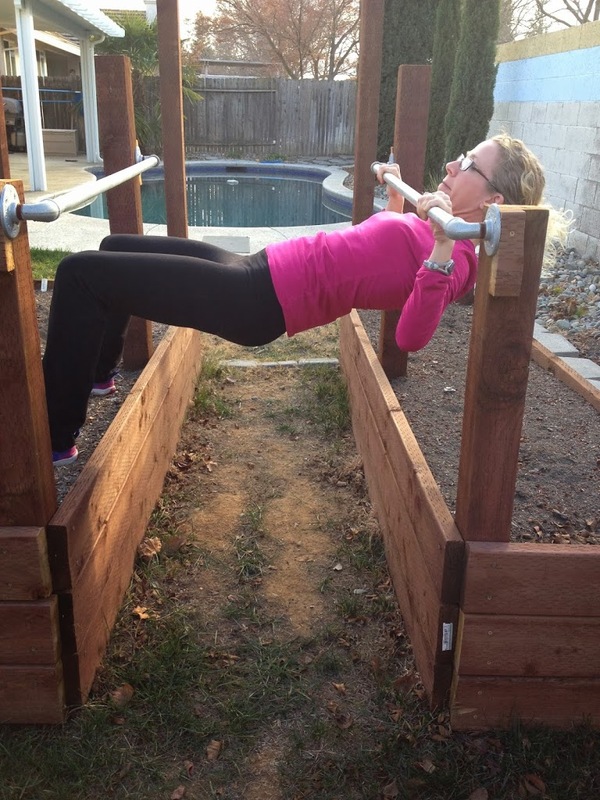 I’ve done two pull-ups…sort of. It wasn’t pretty. I’d like to get better at it, though. Cool I like the assistance band one, the one I have at home is just the bar so I don’t even know if I can do 1 right now!! Pull-ups are hard. Doing them on the bar across the door are really really hard! Great job!